Albany Village Library aimed to achieve a more open, friendly, customer focused orientation within their library. 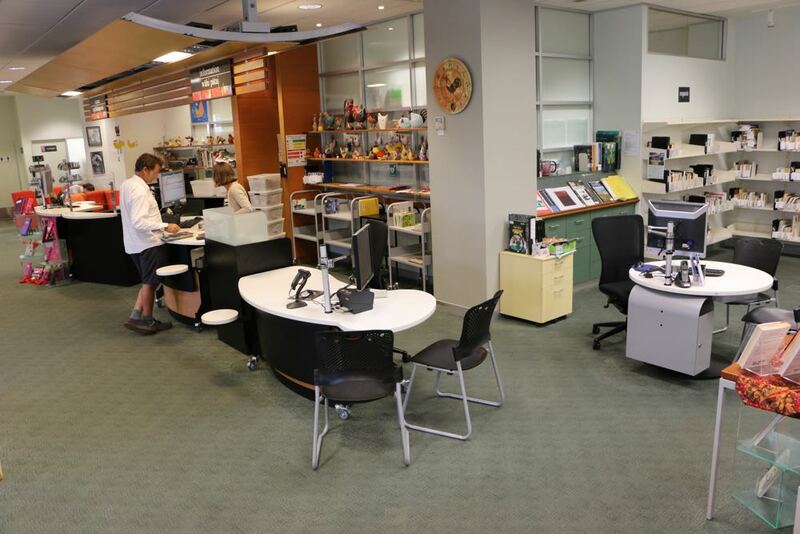 In conjunction with a number of other Auckland Council Libraries, Albany Village Library wanted to move to a more flexible and interactive front of house. 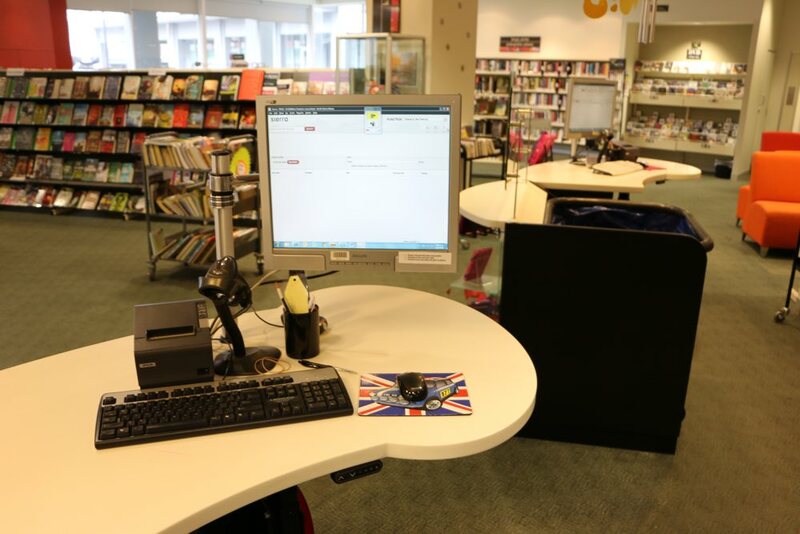 Paul White, our Director of Design worked with Marion Weatherley, Facilities Coordinator and Fiona Martin, Library Manager, to re-energise the circulation area. 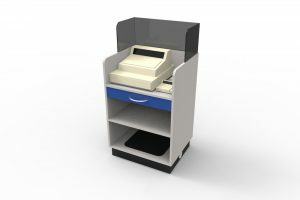 The proposal introduced two GLO 2000 Single Oval counters and a GLO 1600 counter, teamed with our BOOKFLO Book Returns and our CASH/EFTPOS Modules. Two GLO 2000 Single Oval counters (in the seated and standing positions) with our CASH / EFTPOS Module in between. Looking from GLO 2000 Single Oval down to the BOOKFLO Book Returns Module and GLO 1600. 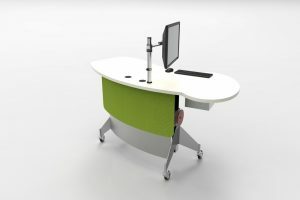 GLO, with its inviting cantilevered meeting oval, makes it easy for staff to get alongside the customer. 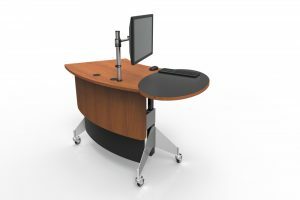 With touch-button height adjustability, staff can now work at a comfortable and safe height, either sitting or standing to suit the task at hand. 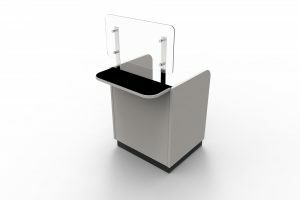 A fixed height ROUND Help Desk was positioned slightly beyond the main counter configuration, providing an alternative space to sit and interact. 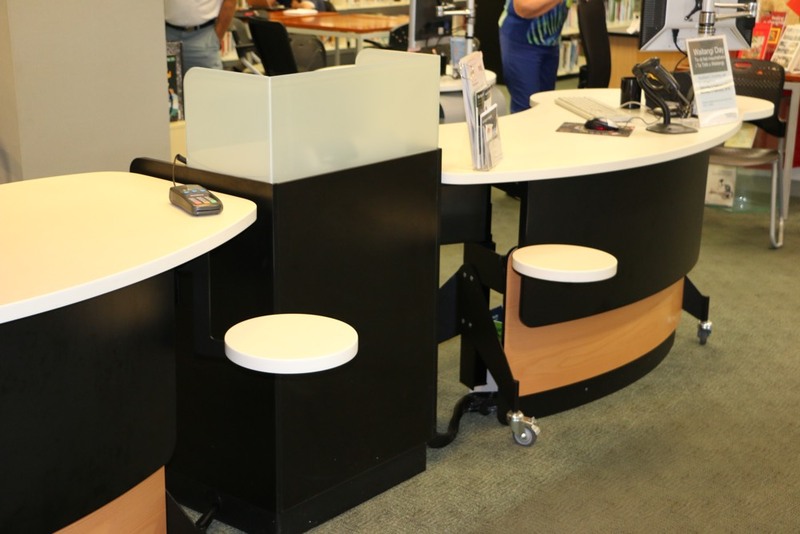 Counters are fitted with beautiful, hard wearing white corian tops contrasted with black laminate and beech crown cut veneer front panels to tie in with the library’s existing decor. Elegant, corian bag shelves ‘float’ in front to complete the design. The organic curves of GLO 2000 Single Oval with handy bag shelves. The new installation is open and welcoming and has proved a success with staff and customers alike. 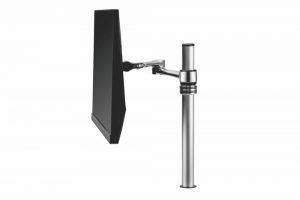 And, as for future proofing, GLO easily adapts from an issues point, to a help station or roaming station, its castors allowing easy re-deployment about the library. 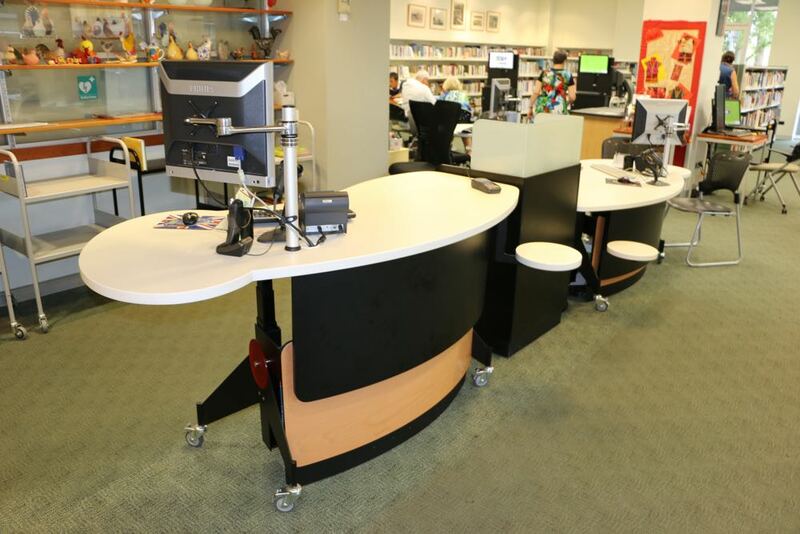 With the current rapid evolution of our libraries adaptable furniture is a must.